When it’s necessary to be able to isolate an installation quickly, whether it is industrial machinery, electrical equipment in commercial buildings, power supplies, security equipment or an HVAC installation, the Hylec ISOLATOR range, provides a solution. The range is comprehensive and includes AC and DC models: 20A, 25A, 32A, 40A, 63A, 80A (AC) and 16A, 25A & 32A (DC). Both ISOLATOR AC and DC models are IP67 rated, completely preventing dust and dirt ingress and providing protection from water up to a depth of 1m. In addition, Hylec ISOLATOR switch boxes are manufactured from completely flame retardant polycarbonate rated to UL94V-0, providing an additional and often vital margin of safety over competitive products with a lower flame-resistance rating. Contacts are silver plated alloy which provide superior oxidisation resistance and increased reliability. 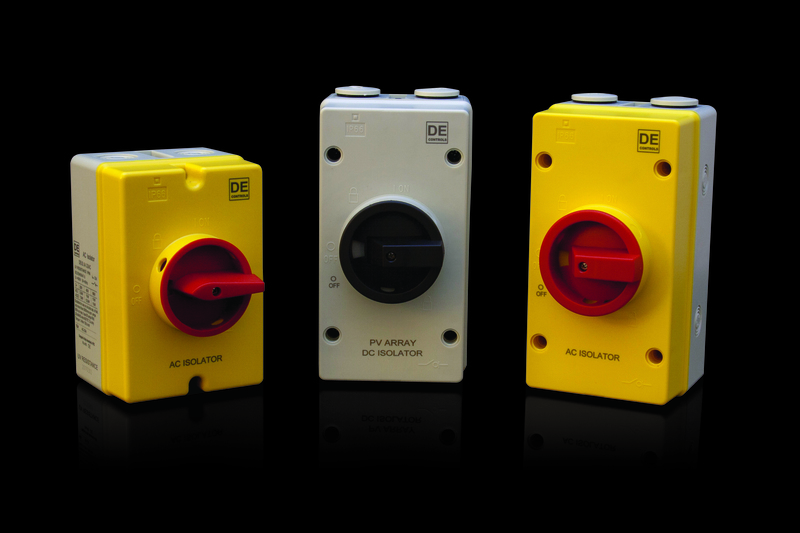 At just 98mm x 80mm x 145mm, the 20A, 32A, and 40A AC models are very compact, yet highly visible with bright yellow covers and red switches for easy identification. The larger 63A AC and DC models measure just 98mm wide x 81mm high x 180mm long, again providing a neat, compact solution in all commercial and industrial environments, but with plenty of internal space to make installation easy for the contractor. The ISOLATOR range has both TUV and UL approvals.